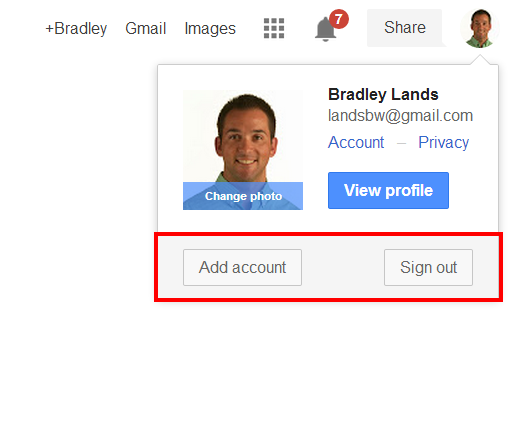 Did you know that you can choose to add or remove accounts to your primary Google account? Most people know how to ADD accounts, but some aren't sure how to REMOVE accounts after they have been added. This happened to one of my teachers today, so I thought I would share this solution for others. What happened was, a student's Google account was accidentally ADDED to a teacher's Google account. This probably happened because the student logged into her Google account on the teacher's computer for some reason or another. 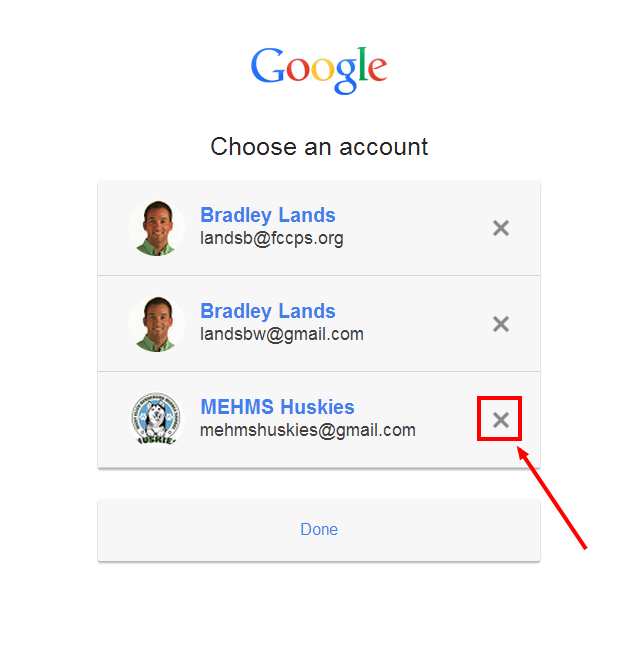 Therefore, every time the teacher went to login to her Google Account, her student's account was also an option. 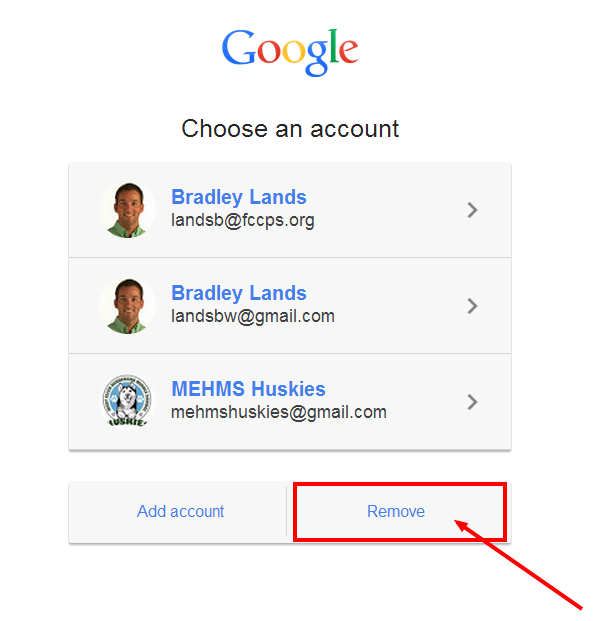 The teacher wanted the student's account REMOVED from her Google account, but she wasn't sure how to do this. 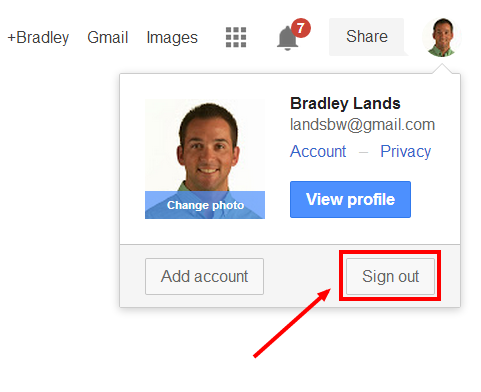 When a user logs into his or her Google Account, the user has the option to "Add account" or to "Sign out" of his or her current account. All you have to do is click on your Profile Icon at the top right corner of your Google Account to access your Google Account Chooser. Let's say that I wanted to REMOVE a Google account that is already associated with my primary Google Account. The first thing that I would do is click on my Profile Icon and select "Sign Out". Then, after I had successfully logged out of my primary account, I would click on the "Sign In" button at the top right. This would allow me to "Choose an account" that is associated with my primary account. If I wanted to REMOVE an account from my primary account, I would simply click the "Remove" button, which will allow me to remove any or all of my accounts. Now, let's say that I want to REMOVE my school account. All I would have to do is click on the "X" icon to remove it from my account. And then select "Done". I would repeat this process for every account that I want to remove. The next time you see an account that is accidentally added to your primary account, you know how to remove it. You can help other students and teachers who might have encountered this same problem. You can actively choose to add or remove accounts from your primary account to make accessing your accounts more efficient.